HMT LLP advised BGF on their investment to support Cutting Edge Solutions’s acquisition of Majenta PLM and their future growth strategy. 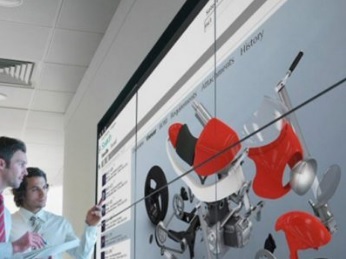 Based in Witney in Oxfordshire and formed in 1997, Cutting Edge Solutions is one of the longest serving Siemens computer-aided design and product lifecycle management (PLM) software resellers worldwide. Majenta PLM, based in Cranfield in Bedfordshire, is one of the few Platinum resellers in Europe and the UK and Ireland’s largest. Both companies work with clients across a range of industries including; automotive & transportation, aerospace & defence, marine, electronics, energy, industrial machinery, retail, and medical to improve design and production quality, flexibility and efficiency. This new organisation is now one of the largest Siemens Industry Software resellers worldwide. Working together, Cutting Edge and Majenta PLM will pool resources and expertise to provide greater capacity and flexibility to their thousands of customers in the UK & Ireland and throughout Europe. Following the acquisition, Majenta PLM’s Mark Parry will take on the role as managing director of the group, while Cutting Edge’s Allan Blackwell will take on the role of chief executive. BGF invested to support the new group and BGF investor Alex Snodgrass will join the Board.